Contact a hosting consultant today. Are you an existing customer looking for support? Existing Customer Support. He is not a pirate. 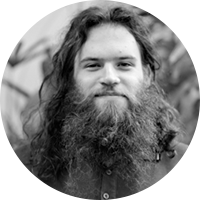 He is kind of a big deal around here because he is one of the awesomely brilliant (and well-bearded) Anchorites (aka hosting specialist) ready to assist you.